DDoS attacker have evolved by weaponizing IoT devices. 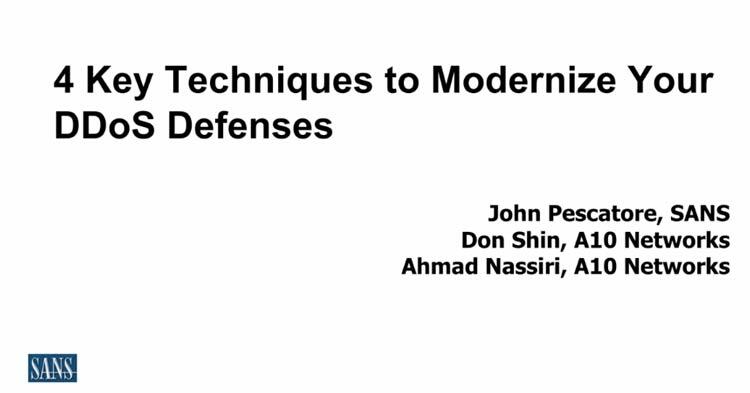 However, defenders continue to depend on technologies developed in the 2000s that lack the precision, scalability or automation needed to fight in the current cyber battlefield. Watch this webinar with John Pescatore, Director at SANS Institute, and Don Shin, Security Advocate at A10 Networks, to learn the techniques you must incorporate into your security strategy to prepare for the next wave of multi-vector DDoS attacks.